Which Vape Pen Should You Buy? After a combined 30 hours of testing, inhaling, charging and running our top 20 picks through their paces, we can confidently say that the Juul is our Editor’s Choice and the #1 Best Vape Pens for E-Liquid. It offers a MTL vaping experience similar to smoking that new vapers need. Higher nicotine level for new vapers transitioning over from traditional cigarettes..
Juice pods are easy to replace when empty and available in most vape shops and online retailers.. It has all the features vapers look for when choosing a vape pen. The JUUL is the first device of it’s kind to appeal to the new generation of vapers. It has a different shape, it uses pods instead of tanks or carts, and it is easy to carry. Just slip it in your pocket and forget about it. 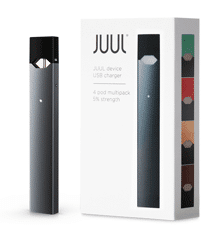 The JUUL pods system delivers a little vial of ejuice in 4 flavors. 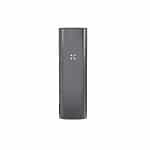 The pods come in packs of 4 and are available at most retailers that sell the JUUL. 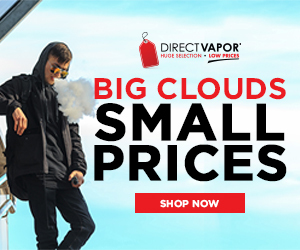 Find The Best Vape Pens That Fit Your Needs? Are all vape pens the same? Not exactly. Many of them are similar in design and function. Some are meant to be used for vaporizing e-liquid, some are capable of vaporizing oils and concentrates as well as loose leaf/dry herbs. Vape pens that are classified as 3-in-1 pens have the ability to be used for all three with separate cartridges for each one. This is a great option because it means only carrying around one device for all your vaping needs. Someone looking to vape e-liquid only should consider buying an e-liquid vape pen. 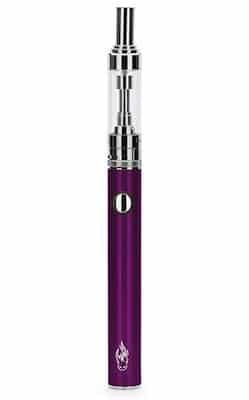 This type of vape pen only works with e-liquid and will not work for concentrates or dry herbs. The reason for this is that the heat settings are not high enough to vaporize anything but liquids. Pens like the Juul, iCare Solo, Smok Stick and VaporFi VAIO are vape pens that use e-liquid only. For someone wanting to vaporize dry herbs or wax, a better solution would be to purchase a pen that does those materials or works for all three like a 3-in-1 vape pen. These types are listed below and worth checking out if you so choose. These types of vape pens are meant for dry herb only. Someone looking to vaporize cannabis or other herbal materials should choose one of these as they are designed with a heating chamber that uses heated air to extract the benefits of the herbs without combustion. These types of vaporizers are usually purchased by people looking to vape their dry herbs instead of smoking them. They may have quit smoking cigarettes for health reasons and feel that vaping their herbs follows that method as well. Some examples of a dry herb vaporizer are The Pax 2, Atmos RX, and Atmos Jump. Vape pens for wax and concentrates are similar to e-liquid vape pens in that they have a cartridge or chamber for vaporizing solids into vapor. They may come with a glass globe or atomizer chamber. These types of vaporizers often include a dab tool and a small brush for cleaning the screens and chamber. 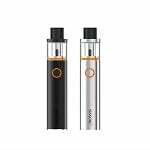 Some examples of wax pens are the Yocan Evolve Wax Vaporizer, Yocan Pandon Wax Vaporizer and KandyPens Donuts Vaporizer. 3-in-1 vaporizers, also called multi-use vaporizers, are a combination unit designed to work with e-liquid, wax and dry herbs. Some have separate chambers that can be switched out for the different material or a cartridge for concentrates and a chamber for dry herbs. Also some units may have the capability for multi-use but additional parts may be sold separately. 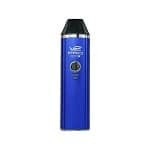 The benefit of this type of vaporizer is that you can purchase one unit for all of your vaping needs. Examples of 3-in-1 vaporizers are the XMax V2 Pro, Yocan Evolve Plus Magneto, and V2 Pro Series 3 Vaporizer. For the frequent vaper those things might be long battery life, a good size e-liquid tank and the ability to use sub-ohm coils. Battery life is determined by the milliamp hours. Someone who vapes frequently will want a battery of at least 1,200 mah and a tank of 3 mils or more. 1-button functionality is ideal but not mandatory. That said, 1-button makes for a sleek and easy to use Vape Pen. Moreover, it’s “less to break”, meaning your Vape Pen is less complicated and now so is your life :). A 2 mil tank might be a little small for frequent vapers but may be just right for someone who vapes less frequently. The choice comes down to preference and function. What may be a drawback for one might not be for another, it’s all subjective. Avoid cig-a-like devices (aka stick batteries). They do not have enough power to make a satisfying vape. These are the little 510 battery and cartomizers you find at gas stations and convenience stores that resemble traditional cigarettes. In short, you won’t be satisfied with the “puff”. Save your money and go to your local vape shop or buy from an online retailer. Always buy your e-liquids, tanks and devices through a reputable vendor because if something goes wrong you have a better chance of getting the item replaced or a refund. The best vape pens are sold in shops that cater to the customer and will replace items that are defective. Loyalty is good, but not to the exclusion of other devices. Backups are good to have on hand. Why? If one breaks, then you have a backup to prevent you from falling back into old habits. A vape pen (short for vaporizer pen) consists of a battery, an atomizer, a tank to hold e-liquid and a drip tip or mouthpiece. When the power button on the vape pen is pressed, it sends a signal to the heating coil within the atomizer which produces heat that converts the liquid absorbed by the wicking material inside the coil, into vapor. To use the vape pen simply press the power button and inhale slowly for 3-4 seconds and exhale vapor. Batteries come in different sizes and milliamp hours (mah) which just means how long it will last before it needs charging. It is common to see batteries listed at 600, 900 or 1,200 mah and above. The higher the mah, the longer the battery life. For example, a 600 or 900 mah battery will last the average user a few hours before needing to be recharged whereas a 1,200 mah battery will last all day or longer depending on the frequency of use. There are many reasons to own a vape pen even if you have been vaping for a while. For new vapers, these are typically the first product recommended by vape shops because they are easy to use and require very little upkeep.The coils are disposable so when one burns out just replace it and vape. Why would someone choose a vape pen instead of purchasing a higher-end mod? There are several reasons why choosing a vape pen makes sense. vape pens are less expensive than most mods. Saving money is one of the biggest benefits of buying a vape pen. Purchasing a kit with two batteries that costs between $30-$50 makes good financial sense because if one breaks you have an extra for backup. Conversely, high-end mods cost between $50 to $100 for the battery and a tank. Put another way, vape pens are economical because the parts are inexpensive to replace and many kits include a spare glass tank or extra coil. 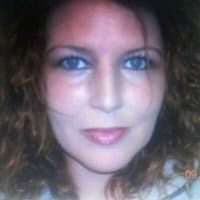 Besides being economical, for new vapers just starting out, it makes the process of transitioning easier because it is designed to be something that does not require a lot of thought or preparation. With all the vape pens, mods and tanks on the market today, choosing a device can seem very complicated when you don’t know very much about the devices and battery safety, and what types of coils can be used with what batteries. All of this is learned in time as they gain experience but in the beginning, can be overwhelming so having a vape pen that requires nothing more than to be plugged in to charge and filled with e-liquid may be the best option. Extra coils can be purchased in packs of 5 for some vape pens so there is no downtime without being able to vape. Another reason people prefer to use vape pens is that they can be carried in a pocket and used discretely when someone doesn’t want to be seen blowing clouds or is uncomfortable vaping in public. It’s not as easy to carry around a big mod because it would need to be carried either in the hand or packed into a bag that gets carried around as well. Vape pens come in different shapes and sizes. Some are round and some are flat, some short and some are tall. It all depends on personal preference. New vapers often prefer a small device that is similar in size to a cigarette just because it is what they are used to. 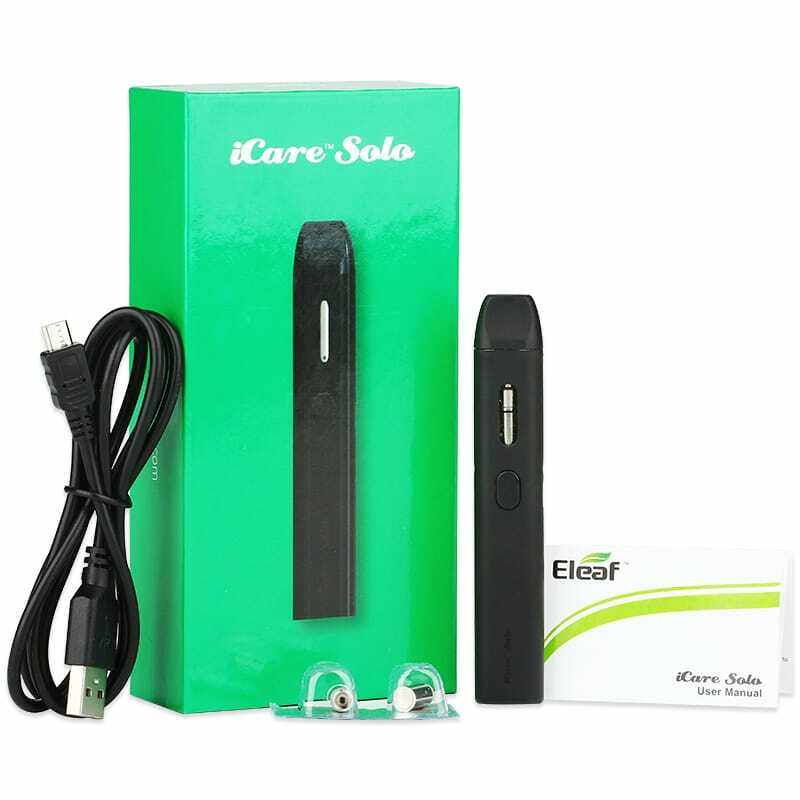 The Juul and the iCare Solo fit this description because they are small, slim vape pens that can also be held in the fingers similar to the way one would hold a cigarette. It is similar and similarities often make transitioning from smoking to vaping much easier. What is a 3-in1 Vape Pen? 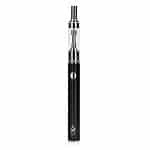 A 3-in1vape pen is one that vaporizes dry herb, e-liquids, and waxes and concentrates. It is a very economical solution to buying individual devices for each one. Some devices like the Pax 3 can do dry herb and wax but does not have the ability to use liquid. That is why a 3-in-1 device is the better option. One vape pen, in particular, is the V2 Pro Series 3 which uses designated cartridges with a little symbol as to what it’s for. All you’d need to do is just buy several cartridges and change them out as needed. It’s less expensive to buy just one device for everything. There are all kinds of vape pens on the market. Try out a few and see which ones you like best, but keep a few on hand for convenience and a backup in case one breaks.